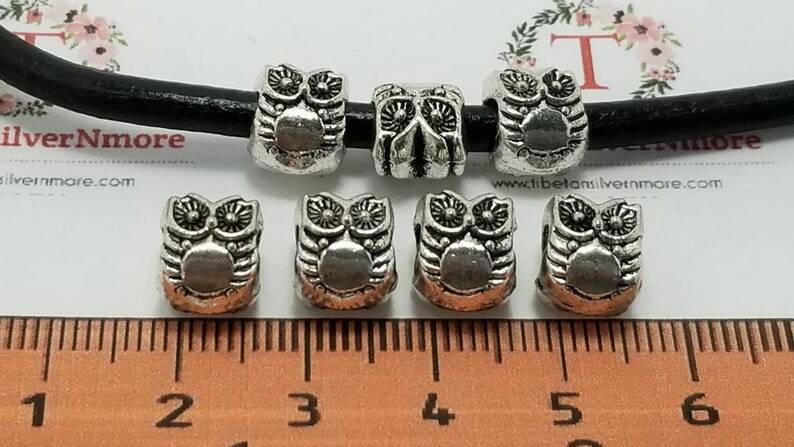 10 pcs per pack 10x8mm reversible Owl Large Hole beads Antique Silver Lead Free Pewter. The Hole 3mm diameter, will fit to any regular large hole beads bracelets or necklaces. 3 pcs per pack 49x25mm 3D Crown Link Antique Silver lead free Pewter.